is the perfect tool to model gases and similar effects. 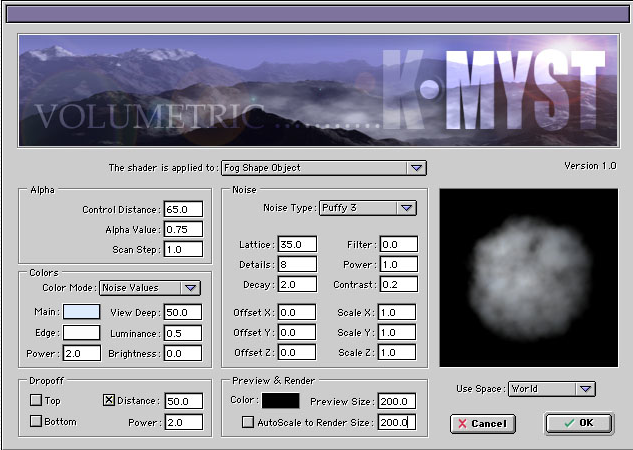 3D noises will turn a simple sphere into a complex-shaped volumetric object. a simple but fast technique. The shader can act in the World space, Model space and even in the UVW space to get the most out of it. The built-in special preview helps in fine-tuning the parameters.